This is original research first published online in 2004. Similar content in journal articles and other websites is plagiarism of my work. Within a very few minutes of first sighting the mountain it was no longer visible, and even the cloud seemed to have merged in the haze of the horizon, making it difficult to believe that we had really seen there a far more imposing height than any I have yet beheld in the Peninsula. Two of the earliest expeditions were sent by the Sultan of Pahang at an unknown date in search of magic stones at the summit. According to the folklore of the Orang Asli, a rhinoceros-sized monkey guarded two pots containing the ‘ibu mas’ and ‘ibu perak’. An approach via the 1000 m Teku gorge was taken which seemed the most straightfoward. However, both parties were doomed to failure by towering precipices. The ‘first serious [but failed] attempt on the...enormous mountain...ranging in height...from 10,000 to 14,000 ft.’ (one estimate put it at 20,000 ft. (Scrivenor 1912)) was made only in 1890 by H. N. Ridley (Ridley 1892). 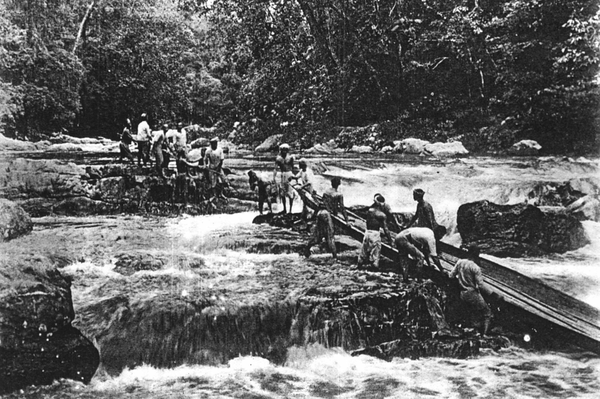 Pulling boats up the Tahan River in the first successful expedition to Gunong [sic] Tahan, 1905 (Robinson 1908b). I have pinpointed this location as Lata Berkoh, a popular bathing spot today, by matching the rocks in this photograph with the present-day scene. W. W. Skeat was the first to get farther than the lowlands. After having ‘planted some durian and rambutan seeds’ somewhere along the Tahan River and ‘scaring away a rhinoceros’, he ascended as far as the spot known today as Gunung Pankin (1463 m) which he marked with a flag. Leitmotif of an unknown animal notated by Lin Yangchen at Kem Kor (750 m) on the west face of Gunung Tahan at dawn, 1 July 2002. Pitches are relative. According to Graham (1908), the first ascent of Gunong Tahan was made from the Kelantan side in 1899 by a member of the Cambridge Scientific Expedition, who reappeared after being gone for "many days" and shaken by fever and dysentery. 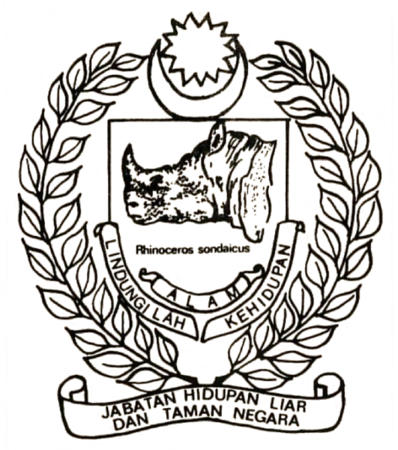 Another ascent was made in 1901 from the Kelantan side, followed by one from the Pahang side in 1906 (Graham 1908). The author on the summit of Gunung Tahan with guides Faizal and Atan in 2016. Rather an alarming account was given [by the advance party] of the nature of the hills, and the difficulties encountered in getting along the ridges beyond Skeat’s flag. Several said that they were not brave enough to walk along them, and the Dato’ declared that it made him so giddy that he was unable to proceed. 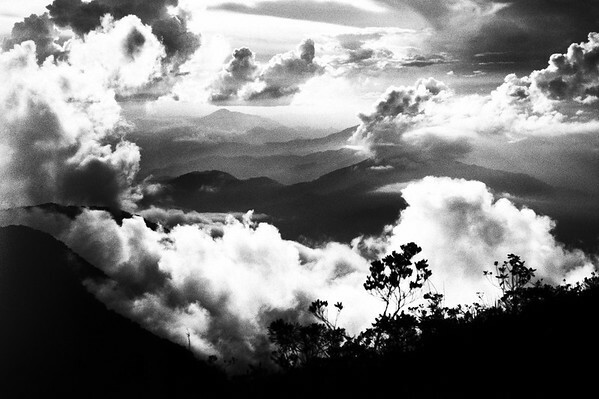 Tropical montane cloud forest on the upper ramparts of Gunung Tahan. Elevations above sea level were established by the 1905 expedition by means of an aneroid barometer. At 900 m, the last sounds of primates faded away (Robinson 1908). 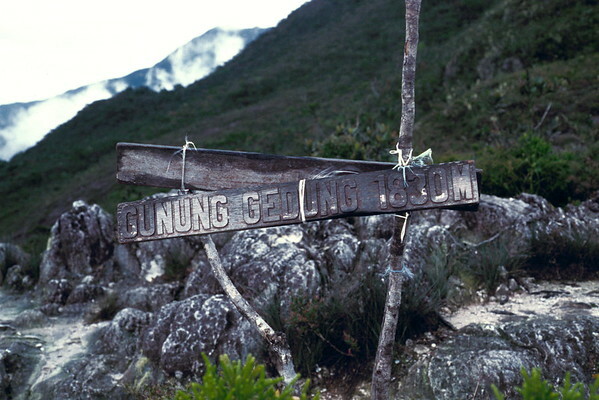 Although Mr. Robinson had determined the summit elevation to be approximately 7200 ft., the official figure in 1906 was 7050 ft. which was surpassed by Gunong Riam (Gunung Korbu) at 7160 ft. By 1912 Gunong Tahan was rightfully granted its stature of 7186 ft. (Scrivenor 1912). On the way back, Mr. Robinson ‘had a rather exciting journey to Kuala Tahan, as the river was in heavy flood.’ In another expedition years later, ‘a race was held along the last reach to Kuala Tahan and was contested with great keen[n]ess and much noise’ (Strugnell & Mead 1937). Gunung Tahan lies within what is now Taman Negara, the only remaining large tract of virgin evergreen dipterocarp rainforest on the Malay peninsula. It is part of a 27,469 km2 tract of forest stretching northwards to southern Thailand (Kawanishi et al. 2001). The biological diversity of this Pleistocene refugium is further boosted by the indigenous Negrito Batek Orang Asli (van der Schot 1990) according to the non-equilibrium model promulgated by Connell (1978). Walking with the clouds on the high ridges of the Tahan massif, in a vast wilderness stretching to the ends of the earth. The Tahan mountain range strikes southwards from Trengganu for approximately 120 km before being intercepted by Sungai ('river') Pahang. It continues as intermittent bumps in east Johore (including Gunung Belumut) and degenerates into Bukit Timah Hill and Mount Faber in Singapore (Scrivenor 1908). The Tahan massif itself is primarily a block of sandstone, mudstone and conglomerate (Komoo et al. 1985) partly metamorphosed at approximately 800 ◦C (Mottana et al. 1978) to massive or slightly schistose white (almost pure quartz) or red quartzite. Quartz veins, a few metres long and up to 20 cm wide, are common (Komoo et al. 1985). Quartz crystals are also abundant (Soepadmo 1971), which may have been the origin of the magic stones legend (Scrivenor 1912). In contrast, Gunung Benom and the Titiwangsa range are dominated by granite at high altitudes. Peaks in direct line of sight from the summit of Gunung Tahan. Data derived from Fullard (1957). A rocky prominence on the southeast ridge of Gunung Tahan overlooking the Padang. Strugnell & Mead (1937) noted that the Padang, a high plateau on the Tahan massif, was an ‘ideal locality for military manoeuvres and artillery ranges could be sited almost anywhere’. Wooden huts with cement floors, tables and a library full of books were built on the Padang prior to 1924 and remained standing as late as 1937 (Strugnell & Mead 1937). The Padang is disproportionately rich in butterfly species probably due to the invasion of lowland species by two complementary mechanisms (Kirton et al. 1990). Firstly, ‘planktonic’ species may be blown aloft by orographic lifting. Secondly, ‘nekton’ may engage in hill-topping which promotes mating through aggregation. Among the rare species restricted to high altitudes and common at the Padang (Kirton et al. 1990) are Chilasa agestor agestor Gray and Austrozephyrus absolon malayicus Pendlebury. Prinia atrogularis waterstradti Hartert 1902 (Tahan Hill Warbler), endemic to the Padang, is very abundant. Its usual call is a shrill twee-twee although a pleasant song may issue (Robinson 1928). Like the butterfly Ypthima pandocus tahanensis, this orographic subspecies of P. atrogularis occurs only on Gunung Tahan. Wells (1990) has suggested that P. atrogularis waterstradti and similar subspecies were more widespread during the last ice age. In the present interglacial, the Padang, being the only adequate area of elfin scrub in the Malay peninsula, serves as a refugium. Fruticose lichen bearing red apothecia on the upper slopes of Gunung Tahan. Lower down, evidence of hill genesis by compressive rock bending takes the form of anticlines and synclines in Sungai Tahan (Scrivenor 1908). Where the trail runs along the ridge one may come across ‘peculiar open spaces several yards square and absolutely devoid of leaves and rubbish’ (Skeat 1908). ‘They are nothing more than the playing-grounds of the Argus Pheasant’ (Robinson, footnote to Skeat (1908)). The original route from Kuala Tahan to the summit. From an undated (probably c. 1970s) edition of the official Taman Negara guidebook. The complete west-east summit traverse of Gunung Tahan undertaken by the author's expeditions in 2002, 2003 and 2016. Hydrology. The Tahan watershed drains an area of approximately 157 km2 (Khan 1990). Sungai Tahan is a sixth-order stream according to the Strahler scheme. Exponential regression of the bifurcation curve fits the equation y = 1092.3e−1.2333x. At Sungai Melantai, the pseudo-monsoon forest formation may be due to the rain shadow of Gunung Tahan (Johnson 1969). 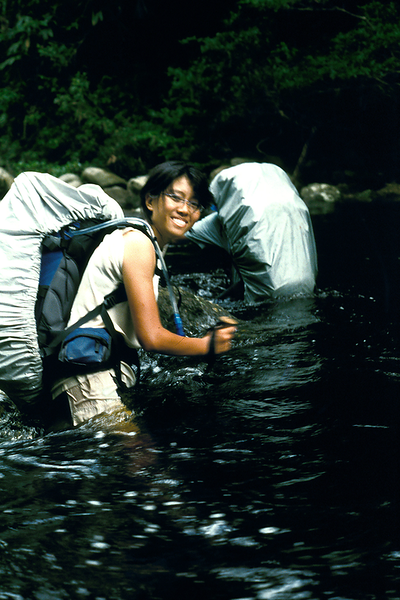 A team-mate negotiating the swelling waters of the Sungai Tahan in the 2003 expedition. Leptotrombidium deliense, the known vector of Rickettsia tsutsugamushi, is very rare in undisturbed lowland forest in Taman Negara. Contraction of scrub typhus is therefore unlikely except in Orang Asli clearings (Dohany et al. 1980). Humans are incidental hosts to three endoparasites in Taman Negara (table below; see Ho & Krishnasamy 1990). On the other hand, it is unlikely that one would be affected by the unidentified contagious disease that in May 1905 exterminated the Selangor chickens meant for the consumption of Messrs. Wray and Robinson (Robinson 1908b). A plea for the inviolacy of Taman Negara. Malayan Nature Journal 24:206–209 (1971). Abidin, z. z. 1999. The identification of criteria and indicators for the sustainable management of ecotourism in Taman Negara National Park, Malaysia: a Delphi consensus. PhD dissertation, West Virginia University. Bourke, w. m. 2000. Escape to the Great Outdoors of West Malaysia pp. 80–82 High Adventure. Bowden, d. 2000. Taman Negara: Malaysia’s Premier National Park New Holland. Briggs, j. 1988. Mountains of Malaysia: a Practical Guide and Manual Longman. Briggs, j. 1991. Parks of Malaysia Longman. Connell, j. h. 1978. Diversity in tropical rain forests and coral reefs. Science 199:1302–1310. Corbet, a. s. & Pendlebury, h. m. 1978. The Butterflies of the Malay Peninsula 3rd ed. Malayan Nature Society. Corner, e. j. h. 1988. Wayside Trees of Malaya: Volume 2 3rd ed. Malayan Nature Society. Coy-Choke, h. 1971. The importance of Taman Negara as a gene pool of major cultivated plants. Malayan Nature Journal 24:215–221. Davison, g. w. h. 1982. Birds in Taman Negara. Malayan Naturalist 35:18–23. Davison, g. w. h., Payne, j. & Gumal, m. 2014. Wild Malaysia: the Wildlife, Scenery and Biodiversity of Peninsular Malaysia, Sabah and Sarawak. John Beaufoy, Oxford. de Laubenfels, d. j. 1988. 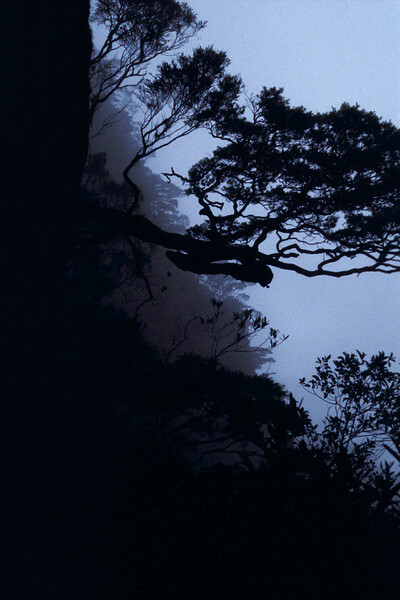 Coniferales. 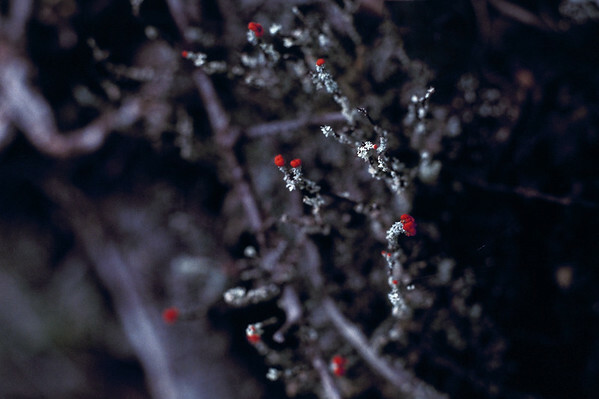 Flora Malesiana: Series I, Volume 10 pp. 337–453 Kluwer Academic. Dohany, a. l., Lim, b. l., Robinson, d. m. & Huxsoll, d. l. 1980. An ecological study of Rickettsia tsutsugamushi in the primary forest of Taman Negara, peninsular Malaysia. Journal of Medical Entomology 17(1):35–39. Dransfield, j. & Kiew, r. 1990. The palms of Taman Negara. Journal of Wildlife and Parks 10:38–45. Dransfield, j. & Whitmore, t. c. 1969. Palm hunting in Malaya’s National Park. Principes 13:83–98. Fullard, h. ed. 1957. Philip’s Senior School Atlas for Malaya 5th ed. Malaya Publishing House. Graham, W. A. 1908. Kelantan, a State of the Malay Peninsula: a Handbook of Information. James Maclehose and Sons, Glasgow. Harrison, j. 1966. An Introduction to Mammals of Singapore and Malaya p. 296 Malayan Nature Society. Hislop, j. a. 1956. Notes from the National Park. Malayan Nature Journal 10:122–125. Ho, t. m. & Krishnasamy, m. 1990. Ectoparasitic acari and endoparasites of small mammals in Taman Negara. Journal of Wildlife and Parks 10:54–61. Holttum, r. e. 1964. Orchids of Malaya. Flora of Malaya Volume I 3rd ed. Botanic Gardens, Singapore. Ismail, m. z. 1984. Checklist of fishes of Taman Negara. Malayan Naturalist 37:21–26. Johnson, a. 1969. A forest quadrat in the National Park: the flora other than trees. Malayan Nature Journal 22:152–158. Kawanishi, k. 2002. Population status of tigers (Panthera tigris) in a primary rainforest of peninsular Malaysia. PhD dissertation, University of Florida. Kawanishi, k., Sahak, a. m. & Sunquist, m. 1999. Preliminary analysis on abundance of large mammals at Sungai Relau, Taman Negara. Journal of Wildlife and Parks 17:62–82. Kawanishi, k., Sunquist, m. & Othman, s. 2001. Tiger research in Taman Negara National Park, Malaysia. Cat News 34:5–7. Kelsall, h. j. 1894. Account of a trip up the Pahang, Tembeling, and Tahan rivers, and an attempt to reach Gunong Tahan. Journal of the Straits Branch of the Royal Asiatic Society 25:33–49. Khan, i. s. a. n. 1990. Water quality and aquatic environment of Sungai Tahan water catchment. Journal of Wildlife and Parks 10:3–24. Khan, m. 1971. The distribution of large animals in Taman Negara. Malayan Nature Journal 24:125–131. Kiew, r. 1990. Pitcher plants of Gunung Tahan. Journal of Wildlife and Parks 10:34–37. Kiew, r. & Chin, s. c. 1982. The effect of dam building on plant life in Taman Negara. Malayan Naturalist 35:23–25. King George V National Park Survey Department, Federation of Malaya; map no. 126 (1953). Kirton, l. g., Kirton, c. g. & Tan, m. w. 1990. Butterflies of Kuala Tahan and Gunung Tahan in Taman Negara. Journal of Wildlife and Parks 10:62–69. Komoo, i., Leman, s. & Tjia, h. d. 1985. 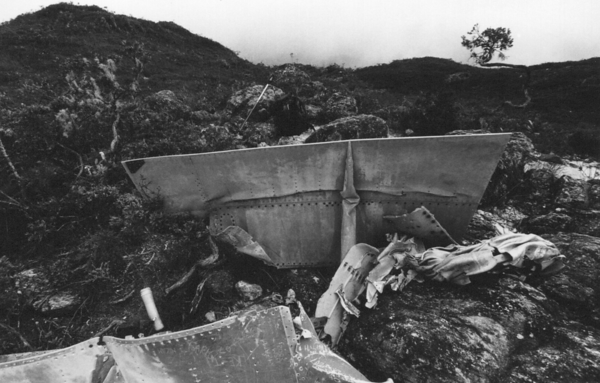 Gunung Tahan–Gunung Tangga Dua Belas: structural observations. Warta Geologi 11(6):261–264. Medway, l. 1971. Importance of Taman Negara in the conservation of mammals. Malayan Nature Journal 24:212–214. Metcalfe, i. 1996. Pre-Cretaceous evolution of SE Asian terranes. Geological Society Special Publication 106:97–122. Moll, e. o. & Khan, m. 1990. Turtles of Taman Negara. Journal of Wildlife and Parks 10:135– 138. Mottana, a., Crespi, r. & Liborio, g. 1978. Guide to Rocks and Minerals Simon & Schuster. Ng, f. s. p. 1990. Taman Negara as a centre of endemicity for trees. Journal of Wildlife and Parks 10:52–53. Ogilvie, c. s. 1954. Notes on some birds nesting in King George V National Park. Malayan Nature Journal 9:53–56. Pendlebury, h. m. 1933. Notes and new records of butterflies from the Malay peninsula. Journal of the Federated Malay States Museums 17:377–401. 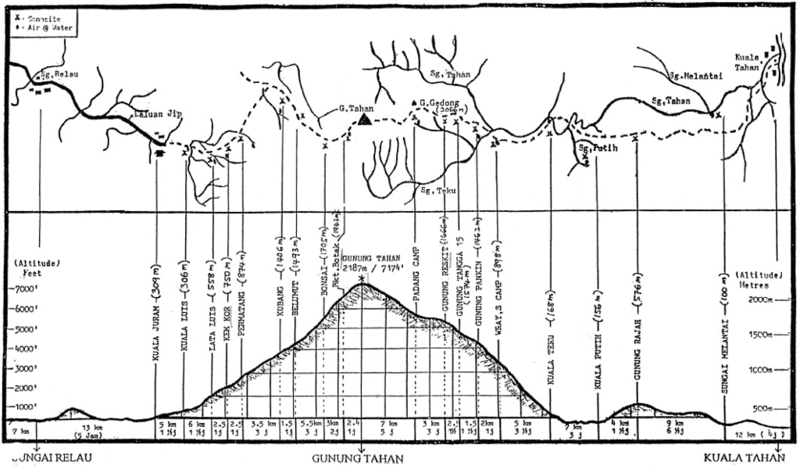 Ridley, h. n. 1892. Expedition to the Tahan District, Pahang, Malay Peninsula. Proceedings of the Royal Geographical Society 14(8):533–540. Ridley, h. n. 1908. On a collection of plants made by H. C. Robinson and L. Wray from Gunong Tahan, Pahang. Journal of the Federated Malay States Museums 2:107–142. Ridley, h. n. 1924. The Flora of the Malay Peninsula Volume IV: Monocotyledones p. 180 L. Reeve. Robinson, h. c. 1908a. Prefatory note. Journal of the Federated Malay States Museums 3:iii–iv. Robinson, h. c. 1908b. Report on the Gunong Tahan expedition, May–September, 1905. Journal of the Federated Malay States Museums 3:ix–xxv. Robinson, h. c. 1928. The birds of the hill stations. The Birds of the Malay Peninsula Volume II pp. 237–238 Witherby. Robson, c. 2000. A Guide to the Birds of Southeast Asia New Holland. Sam Shor, n. y. et al. 2009. 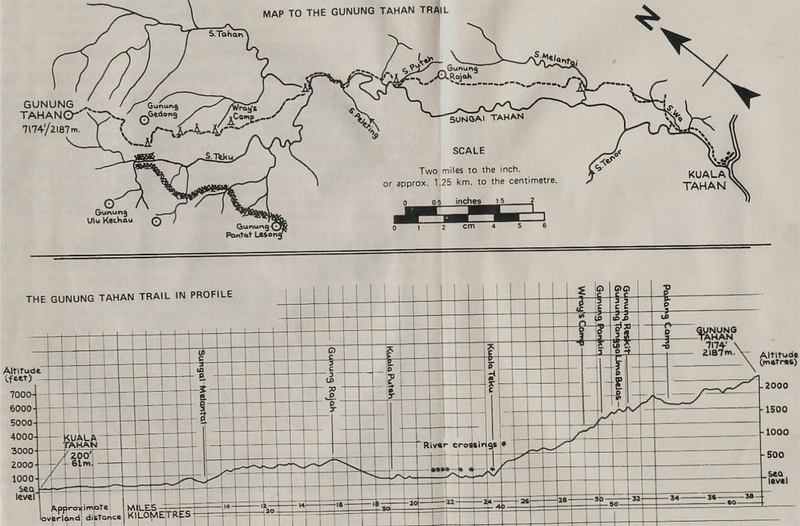 Gunung Tahan Trail: a historical review. Malaysian Forester 72(1):1–14. Scrivenor, j. b. 1908. The geology of the Tahan range. Journal of the Federated Malay States Museums 3:73–74. Scrivenor, j. b. 1912. Gunong Tahan and Gunong Riam. Journal of the Straits Branch of the Royal Asiatic Society 62:8–21. Segerba ̈ck, l. b. 1992. 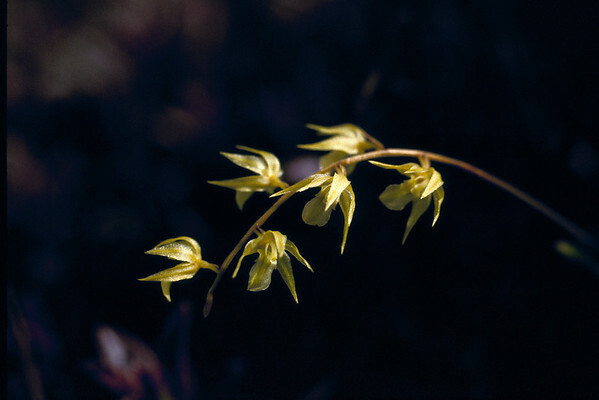 Orchids of Malaya Balkema. Seidenfaden, g. & Wood, j. j. 1992. The Orchids of Peninsular Malaysia and Singapore Olsen & Olsen. Shivas, r. g. 1984. Pitcher Plants of Peninsular Malaysia and Singapore Maruzen Asia. Shuttleworth, c. 1981. Malaysia’s Green and Timeless World pp. 179–182 Heinemann. Silba, j. 1986. An international census of the Coniferae. Phytologia memoir no. 8. Skeat, w. w. 1908. A personal reconnaisance of Gunong Tahan. Journal of the Federated Malay States Museums 3:77–90. Skinner 1878. An extract from the note book of Baron Mikluho-Maclay, 1875. Journal of the Straits Branch of the Royal Asiatic Society 1:61. Soepadmo, e. 1971. Plants and vegetation along the paths from Kuala Tahan to Gunong Tahan. Malayan Nature Journal 24:118–124. Stephens, h. 1985. Asian Adventure pp. 53–78 MPH. Strugnell, e. j. & Mead, j. p. 1937. 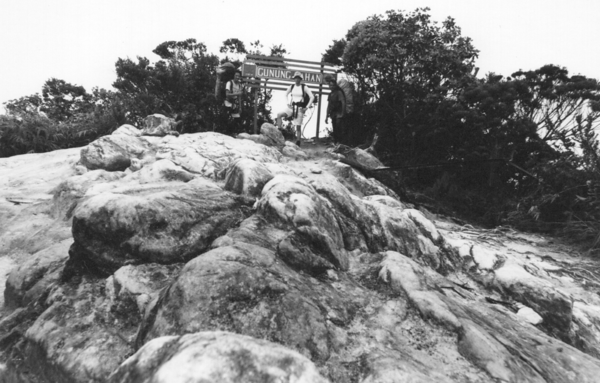 An ascent of Gunong Tahan. The Malayan Forester 6:131–140. Suratman, M. N., Daim, M. S., Singh, H. R. and Ismail, N. H. eds. 2012. Taman Negara: Towards Biodiversity Conservation and Sustainability. Penerbit Press, Universiti Teknologi Mara. Swettenham, f. a. 1884. New mountain seen in Perak. Journal of the Straits Branch of the Royal Asiatic Society 12:286–287. Swinson, a. 1969. Defeat in Malaya: the Fall of Singapore Macdonald. Tahan, Gunong. Encyclopædia Britannica 15th ed. IX:767 (1974). Taman Negara: introduction. Malayan Nature Journal 24:113–114 (1971). Taman Negara Malaysia: Information and Trail Guides Jabatan Percetakan Negara. The grounds for conservation. Malayan Nature Journal 24:193–195 (1971). The need for the conservation of Taman Negara. Malayan Nature Journal 24:196–205 (1971). van der Schot, w. e. m. 1990. Aborigines in Taman Negara: the impact of a hunters, gatherers, community on a lowland rainforest ecosystem. Journal of Wildlife and Parks 10:172–183. van Strien, n. j. 1986. The Sumatran Rhinoceros in the Gunung Leuser National Park, Sumatra, Indonesia; its Distribution, Ecology and Conservation pp. 36–37 Verlag Paul Parey. Waterstradt, j. 1902. Kelantan and my trip to Gunong Tahan. Journal of the Straits Branch of the Royal Asiatic Society 37:1–27. Weigum, l. 1971. The last refuge. Malayan Nature Journal 24:132–137. Wells, d. r. 1990. Taman Negara and ornithology. Journal of Wildlife and Parks 10:139–147. Whitmore, t. c. 1998a. An Introduction to Tropical Rain Forests Oxford. Whitmore, t. c. 1998b. Palms of Malaya 2nd ed. Oxford. Williams, k. d. 1979. Radio-tracking tapirs in the primary rain forest of west Malaysia. Malayan Nature Journal 32:253–258.